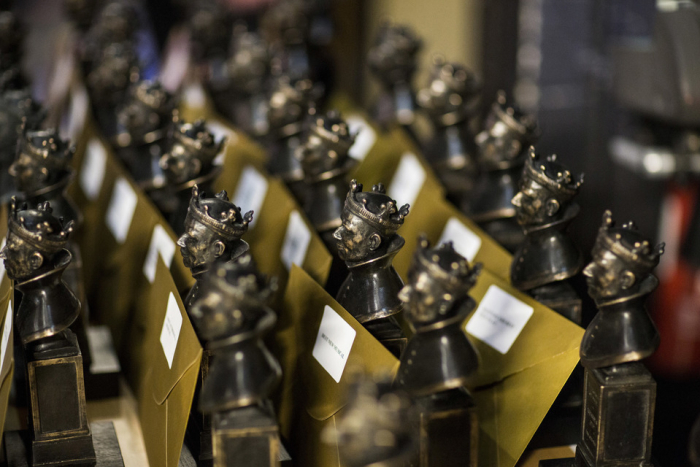 The Olivier Awards may be the most highly esteemed theatre awards in Britain, but how much do you really know about them? Here are 10 things that may surprise you. When they first launched in 1976, the awards were named after the company that started them. For the first eight years, they were called the Society of West End Theatre Awards. Now, even the organisation has changed its name and is known as Society of London Theatre (SOLT). The awards used to have a playful nickname – the Urnies. The name came from the physical award winners were given – a specially commissioned blue Wedgewood urn. Eventually, the blue urns were replaced by the bronze statuettes we know and love today. They depict a young Laurence Olivier as Henry V at the Old Vc in 1937 and weigh a hefty 1.6kg. Lord Laurence Olivier won the Society’s Special Award in celebration of his contributions to London theatre in 1979. But it wasn’t until 1984 that the hugely acclaimed actor and director agreed to be the namesake of the awards. Though the first ever ceremony was held at the Cafe Royal, the venue most closely associate with the Awards is Grosvenor House Hotel. The hotel has hosted the after-show reception nine times and the ceremony itself four times. Thus far, the youngest winners are the quartet of young actresses who led the cast of Matilda The Musical. Eleanor Worthington Cox, Cleo Demetriou (both 10), Sophia Kiely and Kerry Ingram (both 12) shared the Best Actress in a Musical Award in 2012. Among those who have had to dust off their acceptance speech for two consecutive years in a row include: director Stephen Daldry who won Best Director awards in 1993 and 1994, Sheridan Smith who won awards for Best Actress in a Musical (Legally Blonde) in 2011 and Best Performance in a Supporting Role (Flare Path) in 2012, and choreographers Dein Perry (1996 and 1997) and Matthew Bourne (2002 and 2003). We have seen some multi-talented performers win in both dramatic and musical categories including Simon Russell Beale, Jonathan Pryce, and Imelda Staunton. However, Dame Judi Dench not only won in both categories, but in 1996 she won Best Actress for Absolute Hell and Best Actress in a Musical for A Little Night Music. With eight Olivier wins so far, Dench also holds the record for most Oliviers won by one person. 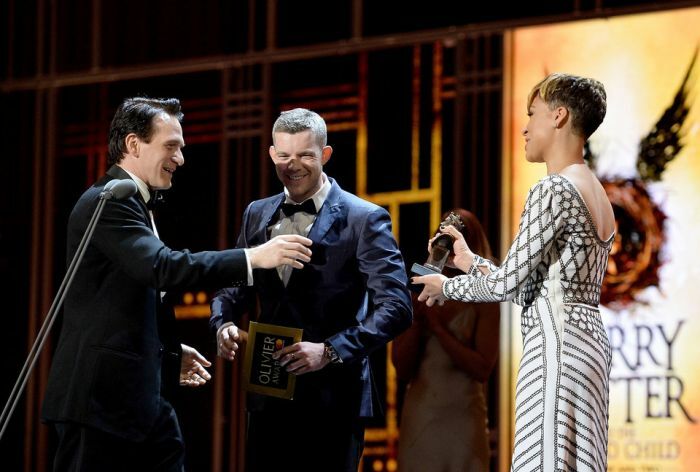 Though Judi may hold the record for the most awards won by an individual, Harry Potter And The Cursed Child holds the coveted title for most awards won at one Oliviers Ceremony. In 2017, the magical show won a staggering nine awards. If Shakespeare was alive today, he would have seen his plays receive a total of 66 awards (as of 2017) across performances and creative categories – and we’re sure that number will increase over time.